Dr. John Phillips is a lifelong resident of Chickasha. He graduated from Chickasha High School in 1988 and attended undergraduate studies at the University of Science and Arts of Oklahoma. 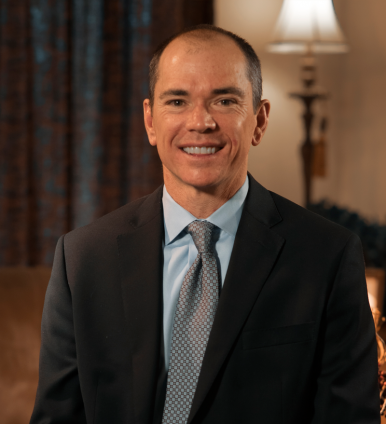 He furthered his education at the University of Oklahoma College of Dentistry, where he received his Doctor of Dental Surgery (DDS) in June of 1996, and opened his scratch practice in the fall of that year. In 1998, he was voted the Crown Council Young Dentist of the Year, which opened the doors for him to learn from the top cosmetic and restorative dentists. He has spent time in the office of Los Angeles, Bill Dorman, who is known for his work on ABC’s Extreme Makeover and is the dentist to the stars. Dr. Phillips also completed training at the Dawson Center for Excellence in Florida, which is an advanced study on occlusion. He aspires to always be on the cutting edge of dentistry and strives to be competent in all the dental advances today. He is continually learning new techniques and always wants to offer his patients every option available. His purpose as a dentist is to always listen to his patients and give them exactly what they want and need. Dr. Phillips and his wife, Angi, have been married 23 years and have 2 sons and 1 daughter: Jonathan (age 22), Preston (age 20), and Aspen (age 11). In his spare time, he enjoys spending time outdoors.